Put your eyes in the hands of optometry professionals. The Eye Care Team at Gig Harbor Family Eyecare is dedicated to providing our patients with the highest quality eye care and optometry services. Each of our staff members maintains a commitment to keep abreast of the newest developments, trends and technology in the field, enabling our eye care clinic to offer the most advanced treatment options and comprehensive vision care. We strive to create a welcoming and open office environment where you will feel comfortable asking about all of your eye and vision care needs. 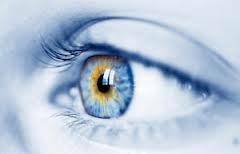 The Eye Care Team at Gig Harbor Family Eyecare will be your partner in protecting and preserving your eye health for a lifetime! Regular eye check ups are an essential part of preventative vision care. Schedule an appointment today and protect your precious eyes.